Tanzanian women cultivating seaweeds. Winner of the 2017 Wiki Loves Africa contest. See this photo essay for more information on the topic. A boy engaged in Kiduku dance. Winner of Wiki Loves Africa 2016. Preparing a nutmeg. Winner of Wiki Loves Africa 2014. Wikimedia Community User Group Tanzania is an officially recognized user group of Wikimedia projects contributors who have been meeting in Dar es salaam since January 2017 serving to extend the reach of Wikimedia activities in the country. The aim of this group is establishing the presence of the Wikimedia Movement in Tanzania as well as creating awareness of Wikimedia projects to Tanzanians, editing and adding contents to Wikimedia projects on SwahiliWiki (swwiki) and EnglishWiki (enwiki). Also the group serves on recruiting and training people on how they can be a part of Wikimedia through editing and adding contents to Wikipedia and its sister projects. The group deals with both Kiswahili and English wikis with much focus on SwahiliWiki. The group also plays the roles of hosting different events such as Editathons and Workshops that seeks to extend and improve the reach of Wikimedia projects to Tanzanians and elsewhere when needed. To promote the use of Wikimedia projects to people in Tanzania. To expand the SwahiliWiki in terms of its contents. 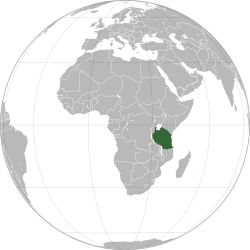 Generally to add Tanzania related contents to Wikipedia and sister projects. To establish the presence of Wikimedia in Tanzania. To serve as a contact for Wikimedia projects in Tanzania. To conduct Wikipedia weekly meetups and grow a community from Tanzania. Organizing Wikipedia edit-a-thons in Tanzania. Promote editing of contents on Wikimedia projects that relates to Tanzania and neighboring countries. Training Tanzanians on how they can contribute to Wikimedia projects. Participating in Wiki Loves Activities. Creating partners to extend the course of Wikimedia in Tanzania. The idea of starting a Wikimedia Community User Group Tanzania was initially introduced by Jack Rabah on July 2016 when he met two Wikipedia enthusiasts Antoni Mtavangu and Paul Mandele during 360 Series event at Julius Nyerere International Convention Centre in Tanzania . Rabah connected these two people to several Wikipedians including Felix Nartey from Ghana who facilitated much to conduct remote training on the important and basic things to be done to start a user group. The local country coordinators succeed to recruit at least 15 volunteers who joined to form the group. Later Rabah introduced Ingo Koll of the swwiki Admin-team to the group. Ingo played a great role in providing edit training on SwahiliWiki, and conducted several workshops as he got the chance to come to Tanzania in 2017. The combined efforts of those people yielded to the first Wikipedia editathon that was held on 7th July 2017 with the goal of Adding Wikipedia contents on Swahiliwiki. To conduct more editathons and workshops which seek to create awareness of Wikimedia projects on Tanzania. To participate in different global Wikimedia projects such as Wikiloves Africa, Wiki Loves Monuments, Wikiloves Women, Wiki Loves Earth, etc. Wiki Loves Women in Tanzania was officially launched on 8th September 2018. Wikimedia Community User Group Tanzania Approved 14 May 2018.